An exciting and unforgettable tour! When you think about Costa Rica, you probably imagine lush tropical rain forest, flowing white rivers, spectacular waterfalls, birds, butterflies, monkeys, sloths, snakes, frogs and jaguars. 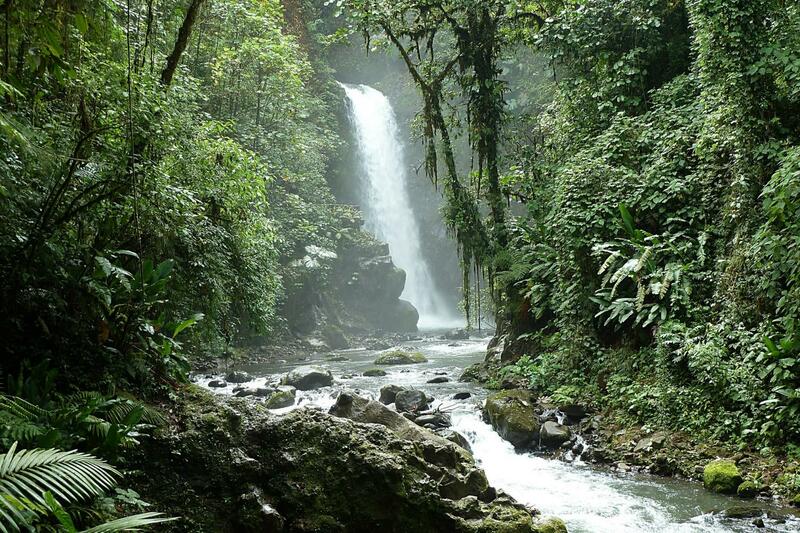 At La Paz Waterfall Gardens, you are guaranteed to see all that and more. With over 3.5 kilometers of walking trails and 10 animal exhibits to enjoy, we recommend a minimum of 2 hours for your visit. However, if you would like to see every trail and thoroughly enjoy the time spent in the Butterfly Observatory, Hummingbird Garden, Serpentarium, Frog Exhibit, Tica House, Trout Lake and our bird watching areas, you will probably want to stay the whole day. Beautiful waterfalls, gardens, and animals!